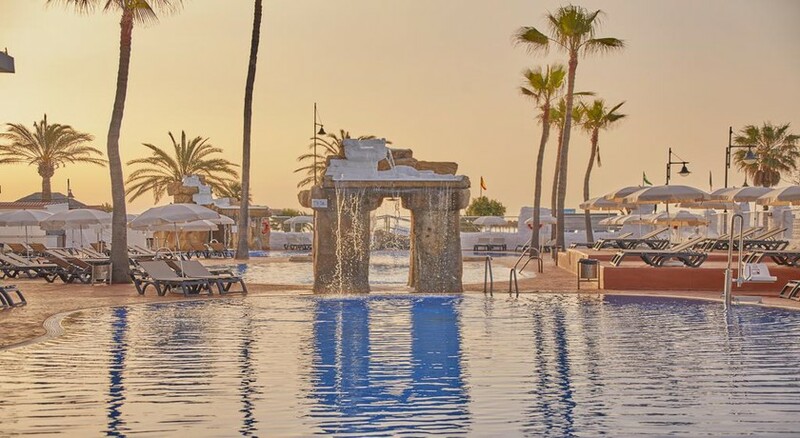 The hotel Marconfort Costa del Sol (ex Marconfort Beach Club) is located around 9 km from Malaga. A sandy beach lies directly by the hotel. At the beach are sun loungers and sun umbrellas for a fee. It is only 150 m from the hotel to the nearest bars and restaurants. Entertainment facilities such as a cinema are approx. 3 km away. The following attractions can be reached from the hotel: Selwo Marina (approx. 12 km away), Zoo Fuengirola (approx. 24 km away) and Nerja Caves (approx. 74 km away). For mobility during your holiday, there are a taxi rank (around 100 m away), a bus stop (approx. 10 m away) and a nearby car rental company. Locations further away can be reached via the railway station in a distance of around 800 m. For medical treatment in emergencies there is a hospital around 3 km away. The airport (AGP) is approx. 12 km away. The 10-storey 4-star beach hotel has 260 rooms, and spread over one main building and one adjoining building. 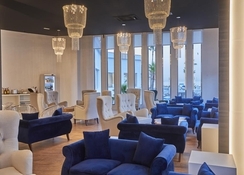 It offers its guests a 24h reception (check-in from 15:00, check-out until 12:00), a lobby with bar, 4 lifts, air conditioning, a safe (for a fee), discotheque, a free parking area and a money changing facility. For the meals, there is a restaurant (air-conditioned). You will be warmly welcomed in both the hotel’s bars. WiFi is available for free. Laundry service and medical service are available for a fee. 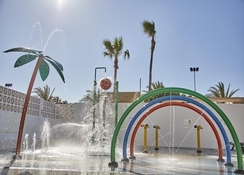 In the outdoor area of the hotel you will find 2 fresh water pools with a separate children´s pool. Here, there are sun umbrellas and sun loungers where applicable, for a fee available. A bar at the pool offers guests refreshing beverages. Breakfast from the buffet. All inclusive: breakfast, lunch and dinner. Water and small snacks at certain times. Soft drinks (09:30 - 00:00), coffee & tea (09:30 - 00:00), beer (09:30 - 00:00), wine (09:30 - 00:00), cocktails (09:30 - 00:00), national alcoholic drinks (09:30 - 00:00) and Welcome Drink. Sports and entertainment: Billiards, mini golf, darts, table tennis and fitness. A golf course is approx. 2 km from the hotel. Bicycle rental. Sauna, solarium and massages available for a fee. Entertainment for adults: activity programme with evening shows and live music. Adult’s games room. In the outside area of the hotel there is a play area for children. My friends and I have been coming twice a year and wouldn’t think of going any where else .The staff are all like very good friends now and always look after us . The hotel is all inclusive, so represents great value. There is plenty of choice in the buffet restaurant and there is entertainment during the day and every evening. Great Location, Nice hotel, friendly staff and good facilities. Good food buffet style 2 roasts every night and even a Pizza and Pasta counter. Pools and furniture cleaned down every night, rooms basic but OK.. Didn't find out about big TV room until I was leaving tho.! Will go back again ! Wow! this holiday was absolutely the bees knees, the food was utterly premium, wine was flowing everywhere, rooms could do with updating, but i believe they have started on them as I am writing this, me and my hubby would have no problem booking this holiday again, we loved it that much! the ale and spirits were pretty strong too, we won a bottle of champagne at the hotel but because we dont like champagne we swapped it for brandy, absolutely no qualms about switching. it was nice to get out of the hotel to walk round the markets I got a prada bag and purse for E20, that is dam cheap, the downside was, and nothing to do with the hotel was , i managed to get some fags but i am selling them now due to not smoking! thats another benefit to my health, i promise you will have the time of your life at the marconfort, also its that clean you could eat off the floor! it was steak,veal,chicken,pork, you name it for your choice of dinner or tea and the restaurant was immaculate, nothing more to add, but it was a great, (the greatest place to stay in torremolinas) you just cannot go wrong, by the way, linda the english rep will do anything to make your stay happy, a great girl, with great ideas, she will go far! We had a brilliant time, lots of choices of food, very helpful staff. Its rather 3 than 4 stars.